Guernsey look set to be the inaugural hosts of a new-look revamped Home Countries International Championship in November 2017. After a meeting in Ireland last month, it was agreed to merge two current tournaments - the Senior Six Nations and Cadet equivalent - into one combined biennial seven-nation event. The seven nations will each compete in a round-robin format in the six team events, namely a male and female competition in each of the senior, junior (under-18) and cadet (under-15) categories. It will mean the tournament starting a day earlier than it used to, on a Friday, with the team event taking all of Friday and Saturday to complete. A change to the rules will be that each country must enter two players per event and there is no scope for any team rotation throughout the competition, although a reserve may be named in the event of injury. from performances in the team events. Also, there will be country protection in those straight knockout singles and the only way that teammates will be able to face each other is if they both reach the final. 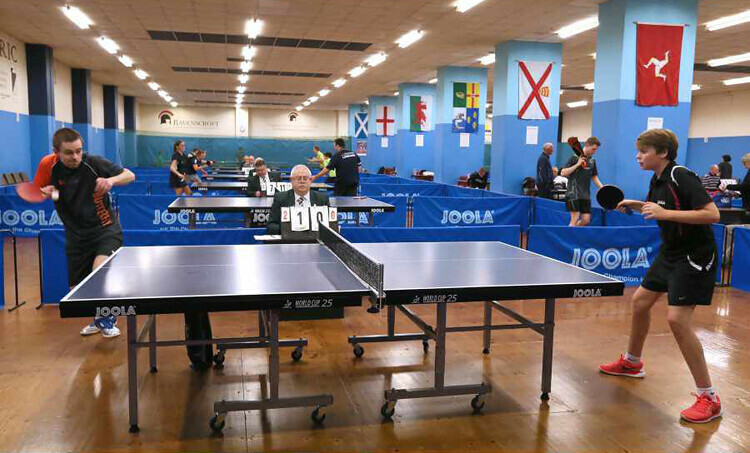 Upon confirming the changes, Table Tennis England chief executive Sara Sutcliffe said she believes the fresh format will bring added excitement. 'The hope is that this will revitalise the competition and make it more special for the nation whose turn it is to host the event, and also enhance the athletes' experience,' she said. 'Bringing the age groups together will also add a new dimension and give the Home Countries International Championship a higher profile.